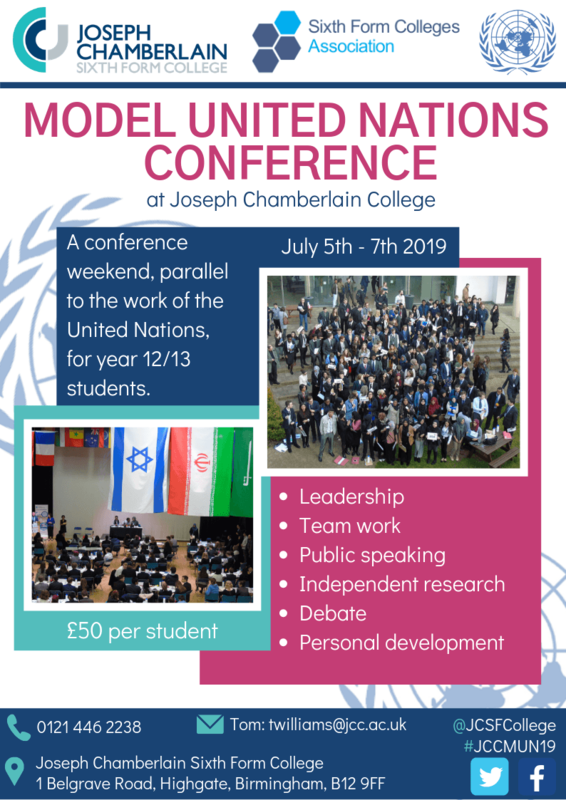 To sign up to JCCMUN19 on July 5th-7th, please click here. Please note, only one member of staff needs to register on behalf of their college and students. For more information about MUN, please email Tom Williams at twilliams@jcc.ac.uk and follow our social media channels for regular updates. If you are attending MUN this year, please take a moment to read through our MUN Student Guide Booklet 2019 for more details on what the conference will involve and how you can prepare for it.